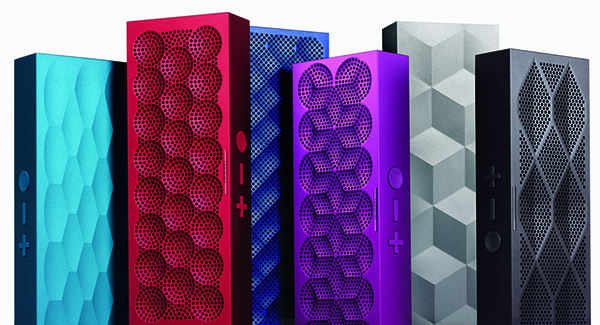 Today Jawbone has finally introduced a new speaker that will join its iconic lineup of portable wireless Bluetooth speakers, the Mini Jambox. The slimmer, lighter, more portable Mini Jambox features an all-new aluminum enclosure which is available in multiple patterns and colors designed by renowned designer, Yves Behar. 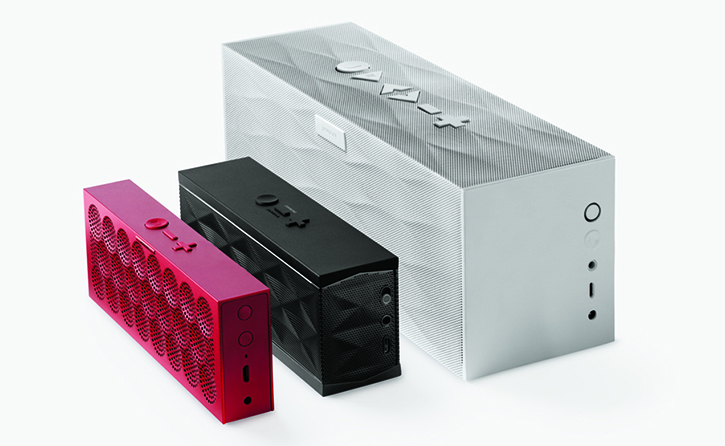 Internally, the Mini Jambox features the same hardware found on the original Jambox - a microphone for speakerphone functionality as well as two proprietary audio drivers and one passive bass radiator actively tweaked using Jawbone's digital signaling processing to deliver the best performing rich sound quality at any volume level. Jawbone's Mini Jambox also features on-board music playback and speakerphone controls, Bluetooth 4.0, and a built-in rechargeable battery capable of providing 10 hours of continuous wireless music streaming, and an exclusive iOS and Android app that lets users adjust the audio settings on the Mini Jambox while also take control of their iTunes, Rdio, and Spotify music libraries using the single app. The Mini Jambox isn't going to replace Jawbone's original Jambox speaker just yet, but it's still priced equally at $180. The new stylish wireless Bluetooth portable speaker is now available for pre-order in nine different colors and grille pattern designs, and is expected to be released later this month.